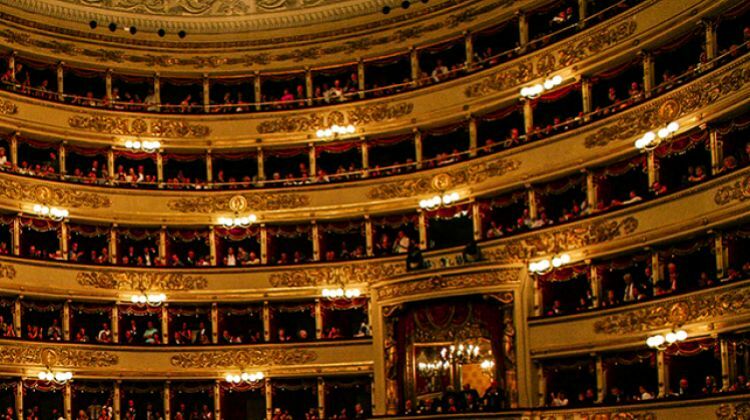 Milan, the Teatro alla Scala, worldwide recognized as Temple of Opera. For over 200 years, young people aged between 6 and 30, from all around the world, have been studying at the Accademia Teatro alla Scala, Italian excellence of international repute. 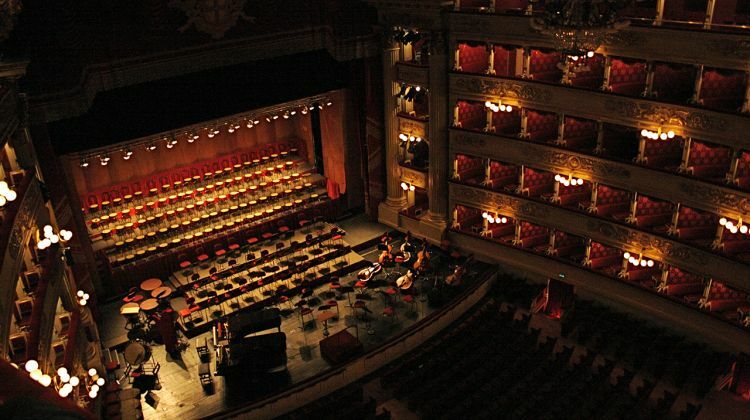 Rossini, Verdi, Puccini, Toscanini, Callas, Muti, Abbado, Béjart, Fracci, Bolle are just a few of the many artists who have made the history of the Theater whose tradition is transmitted by the Academy of La Scala. 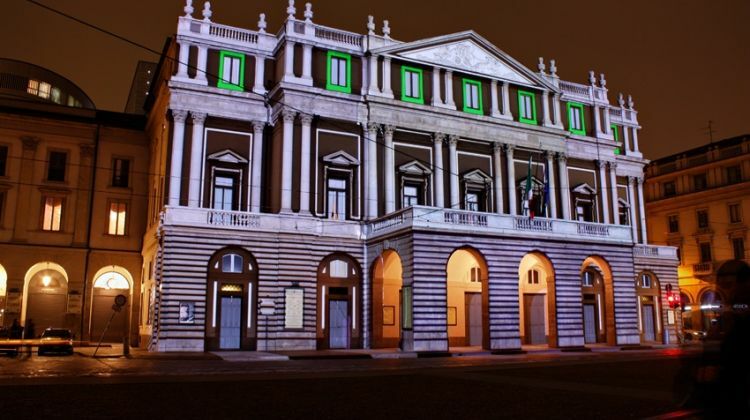 The Academy of La Scala has four departments – Music, Dance, Stage Laboratories and Management – that cover all professional profiles linked to a musical theater, with a wide didactic offer articulated in three levels: training courses, specialization courses and workshops. The presence of professionals of La Scala, coupled with great artists and leading experts of each field, accounts for the high level of teaching and ensures a top quality training. The curriculum, based on learning by doing – a mode of teaching that favors direct contact with the practical aspects of the trade – allows the trainees to develop on the field the skills required; these, are then increased through an intensive internship. 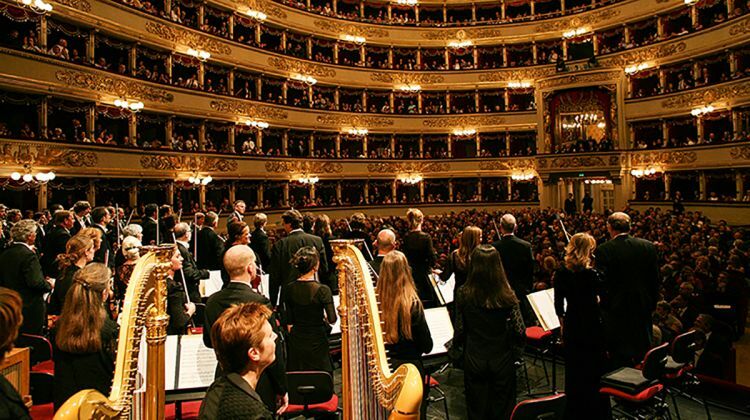 The implementation of the “Academy Project”, an Opera created by the best students that is part of the season program of the Teatro alla Scala, is one of the opportunities provided by the Academy along with concerts, shows, exhibitions, seminars. In more recent years, international contacts have been encouraged so to increase exchanges among students, hospitality, concert activities also research projects and co-operation supported by the European Community with influential partners have been further developed. The same principle of cooperation is the basis of the teaching and dissemination Area, created to promote projects of diffusion and outreach of theatrical and musical culture, inside and outside of the Academy, through listening guides, musical workshops, guided tours, meetings with artists and musicians.